The Boy in the Striped Pajamas by John Boyne – Goodreads: This was to fill my ‘Book about War’ slot on my Read Harder challenge. It’s sort of written in the style of a fable and takes place during the Holocaust. I enjoyed it, as much as one can enjoy such stories I guess. Fullmetal Alchemist Vol. 15 – Goodreads: I decided to request a few of these from the library and pick back up on this series. I loved the anime (what I’ve seen of it) and I binge 1 through 14 a few years ago. It’s a fantastic series. Holding Up the Universe by Jennifer Niven – Goodreads: I loved this! I have my review set to go up soon so I won’t go into it too much here, but it’s fantastic. I didn’t love it as much as All the Bright Places, though (because I understand depression and that book ripped me apart). Fullmetal Alchemist Vol. 16 – Goodreads: The last issue went over what happened during the civil war and now Edward is off to seek more answers about Scar. Frenzy by Casey L. Bond – Goodreads: A random kindle pick for me, as I said last week. I haven’t read a ton of it though so hopefully I’ll get it finished this week. Kubrick’s Game by Derek Taylor Kent – Goodreads: This one is recorded similar to an old radio show and it’s quite interesting so far. I’m not too far into it yet though. 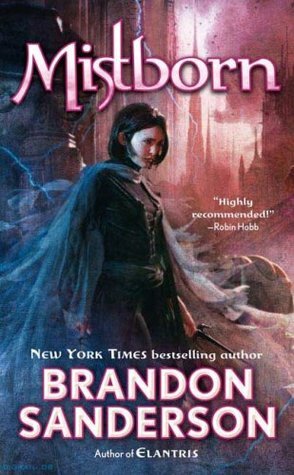 Steamborn by Eric Asher – Goodreads: I love Saskia Maarleveld’s narration and as soon as I saw this for review I knew I had to have it. I forced myself to actually look into the book and was pleased that it sounded like something I’d really enjoy. Fullmetal Alchemist Vol. 17 & 18 – Goodreads: These are in the same bind up so I’ll probably move directly onto these once I finish 16. Whatever Happened to Interracial Love? by Kathleen Collins – Goodreads: I was interested in this one when I saw it on sale last week, but ended up not buying it. Then on my visit the library they had a copy sitting in the new books area, so I snapped it up. I’ve only read a few stories and so far they are so-so, I’m hoping the longer ones are a bit better. Full Metal Alchemist is tied with the original Blood+ as my favorite anime series. I have seen all of the episodes of both the original and the manga based series. I have not seen either of the movies yet. I need to watch them because they are working on a live action movie. I am wanting to read the manga series. My nephew said our library does have it. I am waiting for Holding Up the Universe to go on ebook sale, but if I happen to go to the library soon I probably will look for it.